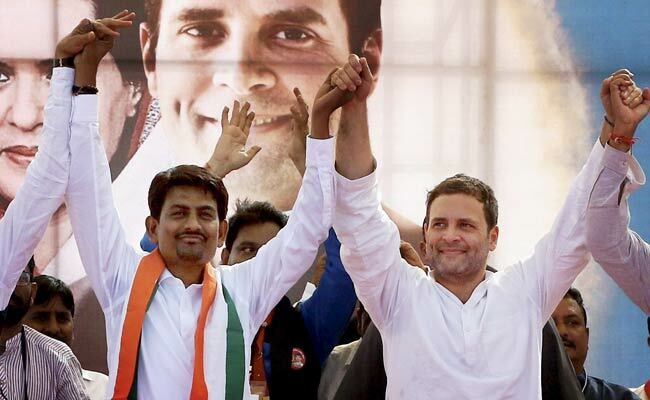 Alpesh Thakor also hinted at active participation from Patidar leader Hardik Patel and Dalit activist Jignesh Mevani in the upcoming Madhya Pradesh elections. Bhopal: Congress' Gujarat legislator Alpesh Thakor today said that the Congress will not spare any effort in the upcoming Madhya Pradesh elections to cover up for the loss in Gujarat. "The party which was talking about taking 150 seats in Gujarat was left only with two-digit seats due to the atmosphere of ego and promise break. In Madhya Pradesh, we will cover up whatever we couldn't do in Gujarat," Mr Thakor, who was in Bhopal for a tour, told reporters. Mr Thakore, who was a prominent face for the Congress in the Gujarat poll campaign, alleged that the party lost because the ruling Bharatiya Janata Party "misused the government machinery". He also alleged that the Madhya Pradesh government is not doing anything for the backward classes in the state, although Chief Minister Shivraj Singh Chouhan himself represents the backward classes. "We will take the issue and will work to unite the backward classes in Madhya Pradesh and will ask the Congress to take this up in its manifesto," he said. Alpesh Thakor also hinted at active participation from Patidar leader Hardik Patel and Dalit activist Jignesh Mevani in the upcoming Madhya Pradesh elections. "We are together for our common thinking. Poverty, unemployment and social inequality are our issues," he said.